By now, you might be familiar with the BlackBerry 10 Dev Alpha A and BlackBerry 10 Dev Alpha B devices that RIM has been handing out left and right to developers. RIM's hope, of course, was that the code jockeys would be inspired to keep the shelves at BlackBerry App World well stocked in time for the launch of the new OS. But while the A & B variants of the BlackBerry 10 Dev Alpha device were for the BlackBerry Z10 all-touch model, well, developers need to be able to check how their apps will run on the BlackBerry X10. This is the handset that resembles the BlackBerry Bold with rounded corners and a world class physical QWERTY keyboard. According to RIM spokesperson Victoria Berry, the Canadian based manufacturer will start to distribute the BlackBerry 10 Dev Alpha C phone with a physical QWERTY keyboard, after the January 30th introduction of BlackBerry 10. The SDK will also be released after January 30th. Is that the Dev Alpha C at left next to the Z10 and X10? The resolution on the BlackBerry X10 is different than the screen on the all-touch Z10 which will require developers to make some changes to accommodate both models. While the BlackBerry Z10 is expected to offer an aspect ratio of 16:9, with a resolution of 768 x 1280, the BlackBerry X10 is expected to have an aspect ratio of 1:1 at 720×720. RIM CEO Thorsten Heins, who would certainly be in the running for any type of executive of the year award if BlackBerry completes this comeback, has already said that it is not the number of apps in an app store that makes it useful. 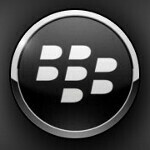 He already said that BlackBerry App World will contain 200 to 400 of the top apps in each country and region. Ugly. I definitely would miss the BB9900's design if they go this way. really hate that screen size! 1:1 is pathetic!